[UPDATED!] Get even more DLC for your Deadly Six Edition! 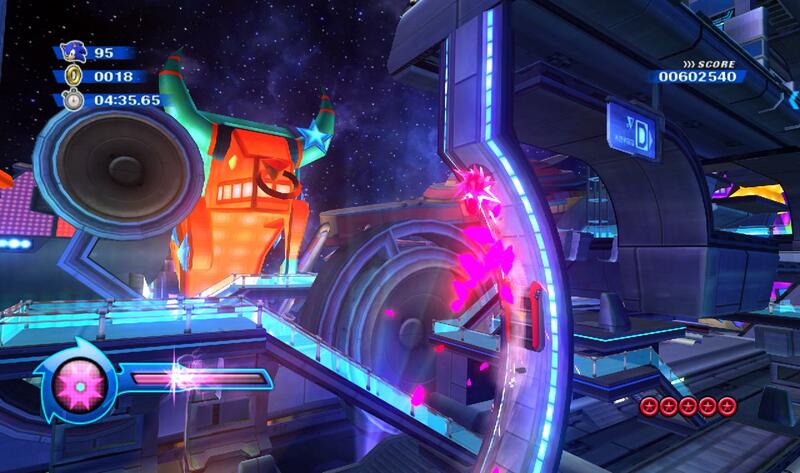 Sonic Lost World is the game that just keeps on giving! On top of what looks to be a title already packed with content, we also have the Deadly Six Edition for Wii U containing DLC inspired by NiGHTS into Dreams… and now, thanks to UK retailer ShopTo, it looks like we have even more extra goodies to look forward to as well! 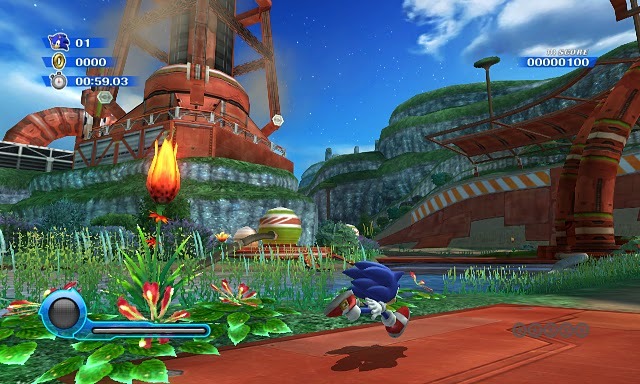 Sonic Lost World Deadly Six Edition on WiiU now comes with another 2 DLC codes! The first one includes 5 Black Bombs Colour Powers to devastate your enemies five times over. The second includes a Rare Omochao RC Gadget, a chao-tastic way to help out Sonic. This title already comes with the NiGHTMARE DLC pack, which contains an extra level with enemies inspired by the Sega Saturn classic NiGHTS into Dreams, meaning you’ll get 3 DLC codes in total! 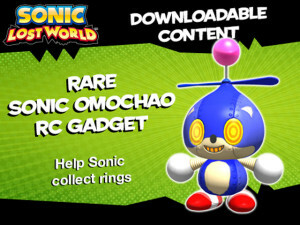 So, on top of NiGHTS-themed boss battles, we also have a golden Omochao RC and five uses of the Black Bomb Wisp to download on release day. 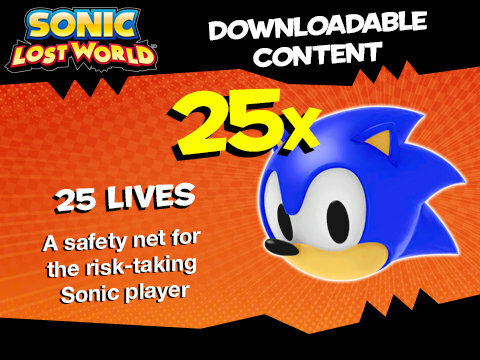 You can pre-order Sonic Lost World: Deadly Six Edition at ShopTo for £32.86 by clicking here. Thanks to SSMB member Phil Collins for pointing this out! 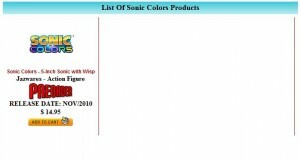 UPDATE: US retailer GameStop are also offering a similar bonus DLC offer, however there is no mention of the Black Bomb Wisp and it advertises an Omochao inspired by Sonic himself rather than the golden one ShopTo are giving away. Looks like there’s some region-exclusive DLC being distributed! Thanks to SSMB member Sonic CD for the heads up! UPDATE #2: Hot off the press… there’s yet another pre-order bonus if you get the game from a different retailer, in this case Amazon.com! 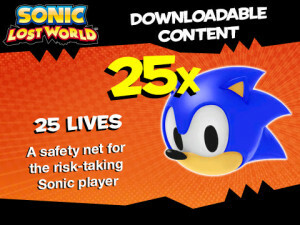 This one’s a little less exciting though – 25 extra lives. Still, a free bonus is a bonus, and you never know when some 1-ups might come in handy! So yeah, apparently a level I took video of weeks ago at a public event still hasn’t been uploaded on the internet. Who knew? You can read my complete hands on of the game here. To say the least, I find the game fun, and this stage was no exception. The footage of the new area starts at 4:46. It’s played from start to finish of course, though I did screw up the drifting a little. If you look closely, you can see the ring counter pass 99 rings at one point in the video, dispelling the rumor that you can only collect up to 99 rings in this game. The American/Canadian winners are here!! Thanks to all who participated. I’ll be sending out the Wisps near the end of the month. Remember, this does not include the European winners yet!! Dreadknux will be taking care of that. For those who just missed out, better luck next time!! This won’t be the last time I do something like this for sure!! Hello, faithful Sonic Stadium fans. Have we got a treat for you! 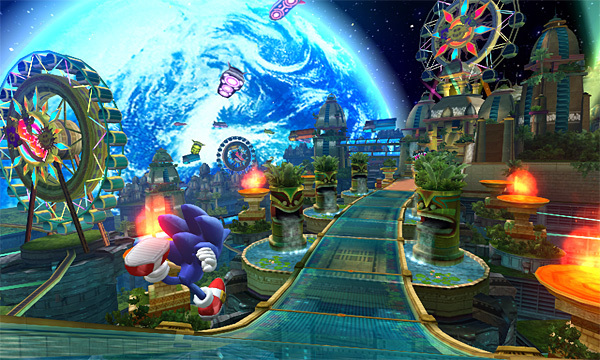 During E3, Sonic Colors was shown to the world for the first time. 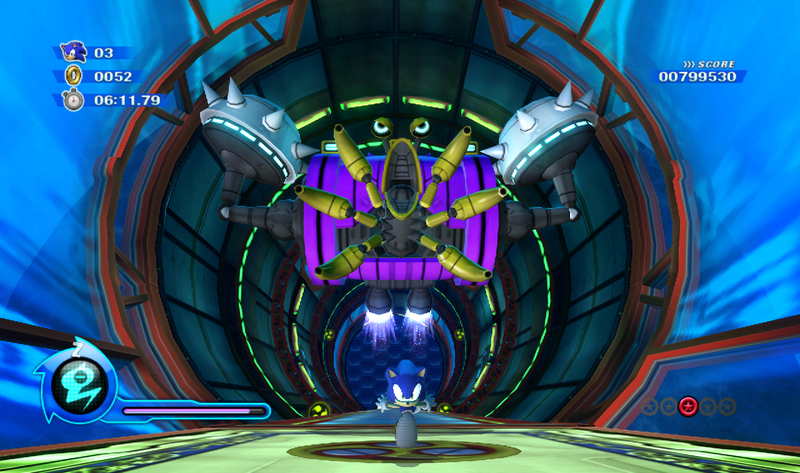 During that time, Sonic freed tons and tons of Wisps away from the capture of Dr. Eggman. A few too many. That’s where you come in! As a reward to our readers, you can adopt one of these little guys and give them a home. They don’t need fancy diets. They don’t make messes. In fact, I’m pretty sure they’re not even alive. Look at ’em. Soulless monsters the size of your thumb. So, how do you pick one of these up? Simple! Just use your SSMB account to PM either JasonTheJackass if you are in the USA, Canada or Australia or Dreadknux if you live in the U.K. and Europe. Give us your mailing address and tell us why you are excited about Sonic Colors. The best entries will be posted in another blog later on. Reply as soon as possible. The amount of Wisps available are split 50/50. That means there’s 50 for the U.K./Europe and 50 for USA/Canada/Australia. We are not responsible for any Wisps possibly lost in the mail. Only one Wisp and one entry per person.